I'm pleased to announce that The Best Man has been re-released with an additional epilogue that was not included in the original version. The book can be purchased from Amazon, AllRomance, and Barnes & Noble. This book was previously published, and includes a newly added epilogue. 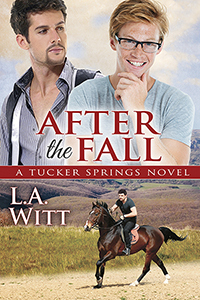 Also, for the Tucker Springs fans, After the Fall is now available for pre-order from Riptide Publishing! It will be available for download on October 7th (or October 5th if you pre-order it). Yes, it was worth it to buy The Best Man again just to read the epilogue. And Wireless made me cry. To think a society could get to the point that physical touch is illegal is just so horribly sad. And then to experience touch only to have it taken away? Just wow.